This cozy apartment is situated on the third floor in the old part of Scheveningen near the fishing harbour and only a 100 meters from the beach. The apartment is homely and cozily decorated. The house is ideal for a family with two children. You are also allowed to bring a small dog. The apartment on the third floor can be reached via the elevator or the stairs. Through the entrance, you come into the sunny living room with much light and a spacious sitting and dining area. The open kitchen is fully equipped and the atmospheric bathroom has a bathtub with legs. The beds will be made upon your arrival and there will be a small wagon awaiting you. 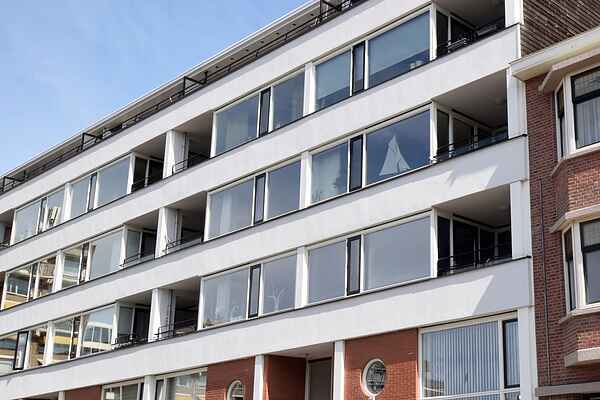 Located in the old part of Scheveningen, close-by fishing harbour and within a 100 meters of the beach. This charming and central location will make sure you have everything at hand for an unforgettable holiday. The beach and the boulevard with its famous Pier are within walking distance of the holiday home, just like the center of Scheveningen. By public transport you can be in the versatile center of The Hague within minutes, certainly worth a visit. Extra information: In Schevening parking is paied from 13.00-24.00. Via the homeowner you can in consultation with the owner buy a parking ticket of 50 euros for a full week of parking.